Steve is the oldest of 10 kids, growing up on the family ranch in southwest Montana, and a 3rd generation Montanan. He graduated in 1990 from Montana State University in Bozeman with a BA from the School of Letters and Science and obtained a degree in Real Estate Principles from Montana State University-Billings in May of 2001. 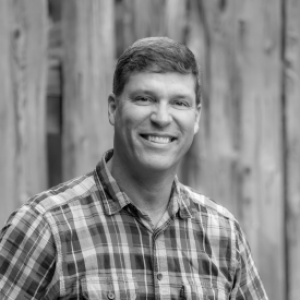 Steve's resume includes the founding and day-to-day management of a chain of home improvement retail stores in Bozeman, Missoula, and Kalispell with more than 35 employees. Along with 25 years of commercial and residential construction experience, from concrete foundations to framing and finish carpentry, Steve's career has focused on land development, business and job creation, commercial and residential building and remodeling, and extensive experience in the field of real estate marketing for the last 18 years. Steve and his wife Jamie have 2 sons and a daughter. Christopher, who is serving as a Hospitalman (corpsman) in the U.S Navy, Tom, a senior at Montana State University, and Nitara, an accomplished and competitive equestrian. Steve has been a private pilot for more than 23 years, and also enjoys skiing, hunting, fishing, and other outdoor opportunities the Flathead Valley offers, as well as passions such as classic car restoration, in his spare time. As the Managing and Supervising Broker and consistently ranked #1 Sales Agent for PureWest Christies (Bigfork), Steve Dooling and his Bigfork team bring knowledge and value to every real estate transaction they participate in. Steve strives to make each purchase and sale of Montana real estate a fun and pleasurable experience for the client.